For anyone who wants to mix a cocktail, there are plenty of recipe books. 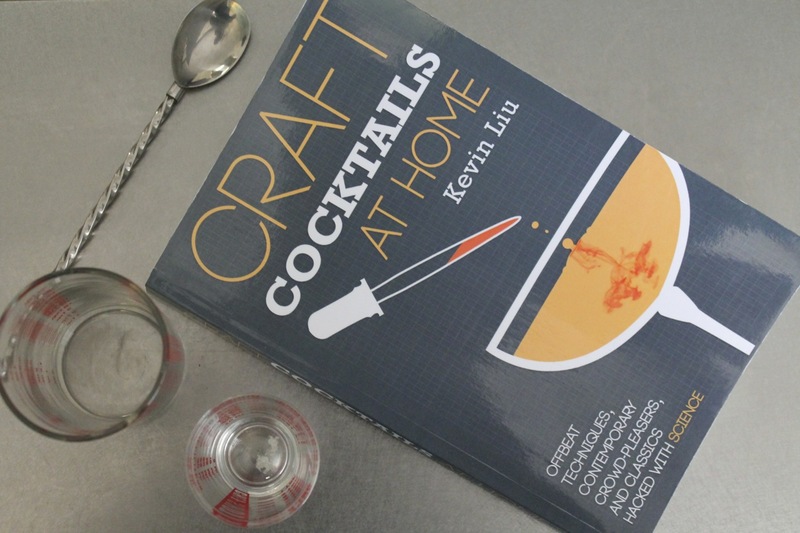 For someone who wants to actually create a cocktail, there are few resources as informative as Kevin Liu's Craft Cocktails at Home. The seemingly comprehensive work will appeal to the science-minded: if you want to get behind the "how" and "why" of mixology, this is a great place to start. Liu covers a broad range of subjects from the principles of flavor to enlisting unusual hardware for making cocktail ingredients. Take the cream whipper for example, which is ostensibly a single-purpose device for making whipped cream by infusing it with N2O. In Liu's hands, the device is suddenly much more useful, repurposed for creating a variety of foams and "extreme carbonation" (delightfully without the need for a soda siphon). I'd actually been looking for tips on using my own ISI Cream Whipper for such tasks, so this was perfect. His discussion of balancing basic flavors (i.e. sweet, sour, salty and bitter) is a particularly useful way to approach creating cocktails. For example, It's helpful to know that limes are 1.5 times more sour than lemons, owing to their higher ratio of acid-to-sugar. Thus, if you want to add a sour note to a drink, a little lime juice will give you more bang for your buck than lemon (a trick I used in last week's Boozy Mint Lemonade). He also discusses how sour flavor may be created with acids besides just citrus, a discussion which segues nicely into an overview of shrubs, the vinegar-preserved fruit juices that have come back into vogue lately. Liu definitely tests the bounds of "at home" with a few tricks, such as the DIY cold smoker, which sounds really cool, but is way beyond my means as an apartment-dweller (I'm of the mind to experiment with liquid hickory smoke in drinks, which I've had much success with in dishes). Nevertheless, for the truly adventurous, he explains such techniques with thoughtful instructions and illustrative photos. Recipes are provided throughout the book for trying the presented techniques. Some are fairly complex but others are simple enough to be made with common kitchen items you probably already have, like the Teagroni, a riff on the classic Negroni made with oversteeped Earl Grey tea. Other recipes that have tempted me include the Simple Gin and Tonic, made with homemade tonic syrup inspired by bartender-extraordinaire Jeffrey Morgenthaler, the Smoked Apple-Cinnamon Old Fashioned (made with a smoldering cinnamon stick), and the Oliveto, a gin cocktail made with olive oil (specifically California Olive Ranch, one of my favorites). So stuffed is this book with useful knowledge that I feel like I probably absorbed only a fraction of it during my cover-to-cover read. Although I generally buy my food-related lit in paper form, I'm tempted to also purchase the e-book version of this for easy searching and annotation. What you won't find in this book: beautiful color photos of cocktails in stunning glassware with interesting garnishes. Instead, what you'll find is far more useful--the raw knowledge to up your mixology game that pays as close attention to modernist technique as it does to "classic" cocktails. If you like what Liu has to say, he has more content on his blog. Wow, Kevin Liu has really improved the way we drink in our house, hasn't he? Thank you, Mr. Liu!